Do we really need a two-part article on “why my feet itch at night”? Yes! Because this is really a two-part question. The first question: "Why do my feet itch?" The second question: "Why at night?" So, for Part I, we will focus on the causes of itching feet and for Part II, we will focus on why your feet itch at night. Itching feet may not sound like a serious problem, but tell that to someone with itchy feet! Suffering from itchy feet can be annoying, disruptive and even painful. Itching leads to scratching, which causes the itching to get even worse and can then result in bleeding, skin damage and secondary infections. Scratching can make the problem even worse resulting in bleeding and secondary infections. Itching may cause sufferers to have to stop what they’re doing to remove their footwear in order to scratch. It also is likely to interfere with relaxation and sleeping. The most common cause of itchy feet is athlete’s foot, which is a fungal infection of the skin of the feet. There are two basic types of athlete’s foot – one type that affects the bottom of the foot and the other type that affects the area between the toes. Most people who develop athlete’s foot have one type or the other, but it is possible to have both at the same time – yuck! Athlete’s foot on the bottom of the foot is often mistaken for dry skin. The skin usually appears dry (of course), scaling and red. Between the toes the signs of athlete’s foot are usually more acute and can include redness, blistering, weeping and cracking of the skin. Scratching infected skin can cause the infection to spread. The key to treating athlete’s foot is using the appropriate anti-fungal medication. Over-the-counter creams can be helpful but must be used for several weeks because some of them only suppress the fungus. Prescription strength creams are much better because they begin to kill the fungus almost immediately. It’s very important not to scratch the skin when there’s a fungal infection because scratching can spread the infecting organism to other areas. Athlete's foot is highly contagious and can be spread through direct contact or by touching contaminated surfaces such as public showers, gyms, pools or even sharing shoes. 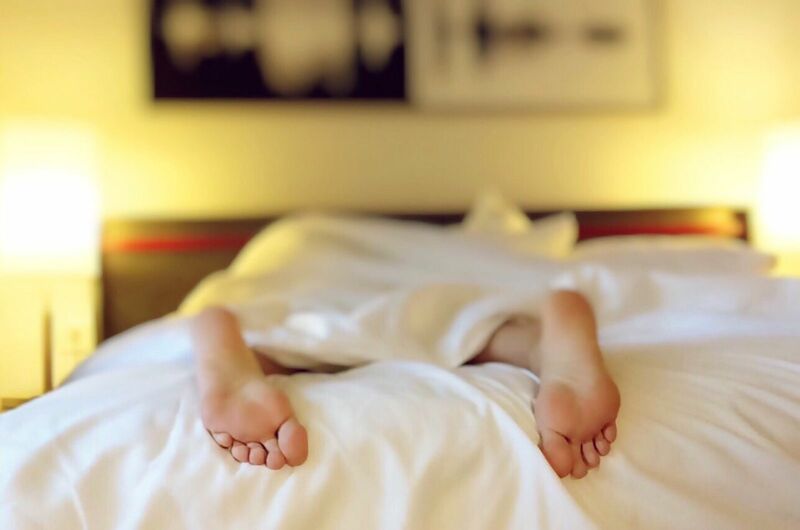 While fungal infections are the most common cause of itchy feet at night there are other skin conditions that can also cause the feet to itch and sometimes quite severely. Dermatitis can occur anywhere on the foot and is often mistaken for a fungal infection, especially when it occurs between the toes. Itching can be severe and difficult to eradicate. Treatment for dermatitis is aimed at reducing the inflammation in the skin, which is usually accomplished with steroid creams. Scratching is a huge no-no on skin with dermatitis because it creates even more inflammation and perpetuates the condition. Some causes of foot itching really aren’t conditions of the skin at all. There are a number of systemic issues that can cause your skin to itch. The most common such condition that affects the feet is peripheral neuropathy. Neuropathy is a condition where the nerves are slowly dying. It can be caused by diabetes, alcoholism, exposure to toxins, chemotherapy, and many other diseases. Often the cause of peripheral neuropathy is never actually discovered. This is called idiopathic neuropathy. No matter the cause, the dying nerves of neuropathy are very tricky. They can deliver any type of sensation to the skin and often that sensation is itchiness! Treatment for neuropathy can be very difficult because once the nerves start to deteriorate there is no way to reverse the process. There are some vitamins and supplement products that claim to reverse some of the effects of neuropathy, but the results are mixed at best. Usually, neuropathy is treated in one or both of two ways: internal medication that is designed to trick your brain into not feeling the symptoms and/or topical pain relievers. The topical pain relievers “cover up” the neuropathy symptoms by making the skin feel a sensation that’s different from the neuropathy sensation. Itchy feet are no laughing matter. Besides the discomfort and annoyance, itching of the feet is likely to represent some type of infection, inflammation, or even a systemic condition. If your feet are itching it may be something more serious, so don’t ignore them – seek the help of a foot care professional. Read Part II of Why Do My Feet Itch At Night? Do You Have Poor Circulation in Your Feet? Why does it only happen late winter. I've had for around 10 years only happens when they get hot or when sun goes down? What cause night time itchy foot. Only one foot. Right in the middle. What can b used to stop the itch? Ron - Hot, itchy, burning feet at night can be symptoms of neuropathy. If you continue to experience this problem have your feet checked by a podiatrist to rule out any nerve and/or circulation problems. John, Topical creams containing capsaicin, naturally derived from chili peppers, can be used topically for neuropathic pain and to relieve itchy feet in bed. what medicine from the chemist can I get for inchy feet in bed ??????????? So my feet get really hot and itch and kinda burn. This only happens at night and there is no form of rash on my feet at all. Could it just be that they are dry from the weather? Why is it just in night?my foot started itching way back 2016,and its only on winter season,its so itchy and hot.i cant even sleep once it started to itch. why is it only at night if it is a fungus or neurophy? I had a rather infected ingrown toenail that was very painful and limited my ability to exercise. Vincent W.